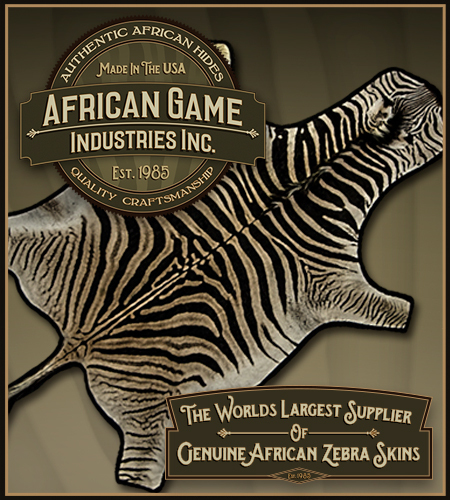 African Game Industries, Inc. supplies top quality, expertly tanned Burchell Zebra Skin hides. All our Zebra Skin hides are legally obtained through Government approved animal reduction programs throughout Southern Africa. We also comply with stringent U.S. Department of Fish & Wildlife and U.S. Customs importation procedures, thereby allowing our customers to purchase our Zebra Skin hides with confidence. When choosing one of our Zebra hides, it is important to understand the strict grading criteria that we employ. 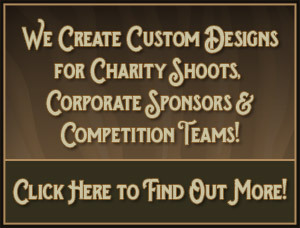 This knowledge will assist our customers in selecting a hide that will best serve their needs. Zebra hides are available as a “Grade A” , “Grade B” or “Grade C” . These grades are determined by the amount and extent of blemishes found on the hides due to the effects of the Zebra’s natural, wild and often thorny environment. All our Zebra skin hides are fully matured adult sizes. A further description of each grade is outlined below. GRADE “A” Zebra skin hides are our “superior”, top quality hides and rugs. These are the top 5% of the Zebra skins we obtain and are hand picked for superb color and quality. GRADE “B” Zebra skin hides are of an “excellent” quality with very fine blemishes. The blemishes are hardly visible and do not detract from the beauty of the hide. GRADE “C” Zebra skin hides are “very good” quality with more noticeable blemishes such as scratches or scars. However, these hides can still be displayed and their beauty enjoyed. All the above Zebra skin hides are available with or without a black felt backing and border or with a leather edge binding at the customer‘s request. Our Zebra skin hides are extremely easy to care for due to our expert tanning and preparation procedures, thereby assuring durability and longevity of all our hides for many years of enjoyment. We fully guarantee all our Zebra skin hides, including all other products we sell, and offer a 14 DAY MONEY BACK GUARANTEE should you not be 100% satisfied with your purchase.